During a press meeting in Newark the Dalai Lama elaborated on how to face global challenges nonviolently and also expressed his views on the status of Tibet and its relations with China and India. Referring to his commitment to the promotion of religious harmony, His Holiness said on a few occasion, and particularly yesterday’s development (May 11, 2011 when he heard a Christian nun and a gentleman at a panel in the University of Fayetteville in Arkansas talking about their Christian religion inspiring them in their work) confirmed his belief that all religions have the same potential to inner peace notwithstanding their philosophical differences. He said the real purpose of all religions was the same: to promote love, compassion, forgiveness, tolerance, and self-discipline. His Holiness outlined the history of contact with the Chinese leadership. He said direct contact began in 1979 and there was real hope in the early 1980s, but that things became difficult and contact ceased in early 1990s. He said, “again we renewed direct contact with Central Government” in 2002 and since then there have been nine rounds of talks but no positive result. He said even our sincere proposals under the Chinese constitution was described as disguised independence movement. In the meantime, His Holiness said the situation inside Tibet had been becoming worse and worse. Nevertheless, he said from our side always we are always open for talks. His Holiness said there is problem in Tibet but that Chinese officials refuse to accept that. He suggested that journalists should visit Tibet to see the situation and to see whether there is problem or not. Sooner or later we have to tackle this problem, he added. “Once the Chinese central government really addresses the real situation we are always ready to help,” His Holiness said. To a question on the Indian Government’s position on Tibetan independence, His Holiness said that in the late 1940s and the 50s there seemed to have been serious discussions among Indian leaders, including Sardar Patel, which resulted in the formulation of a policy on Tibet. He said the successive Indian governments have consistently followed this policy. His Holiness clarified that we were not seeking separation and that Tibet had been materially backward and Tibetans wanted modernization. Therefore, it was beneficial to remain with the People’s Republic of China but that Tibetan Buddhist heritage as well as our language and script were such that needed preservation through meaningful autonomy for Tibet. 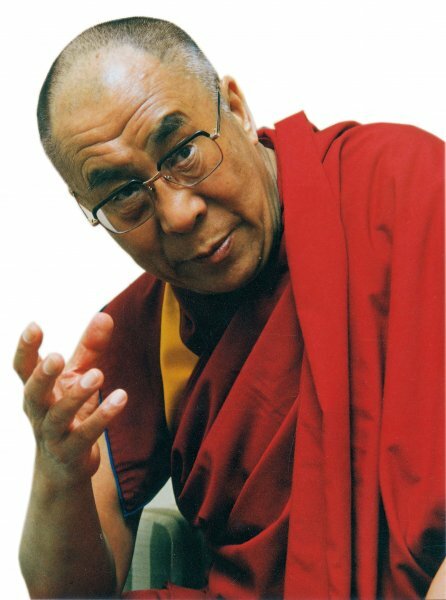 His Holiness expanded on the fact that Tibetan Buddhism is richer than other Buddhist traditions, including Chinese Buddhism. For example Buddhist logic was something that was present in Tibetan Buddhism and not in Chinese Buddhism, he said. He said Tibetan Buddhist culture was of concern not just to the six million Tibetans but for many million more people in the Himalayan region as well as Mongolia and in the Russian Federation, who follow Tibetan Buddhism.